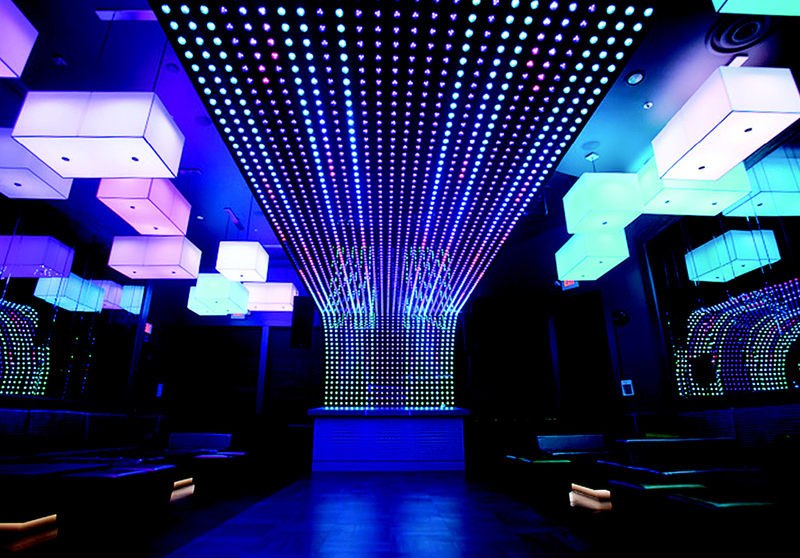 This 100-person bar has amazing light installations with world-class sound. 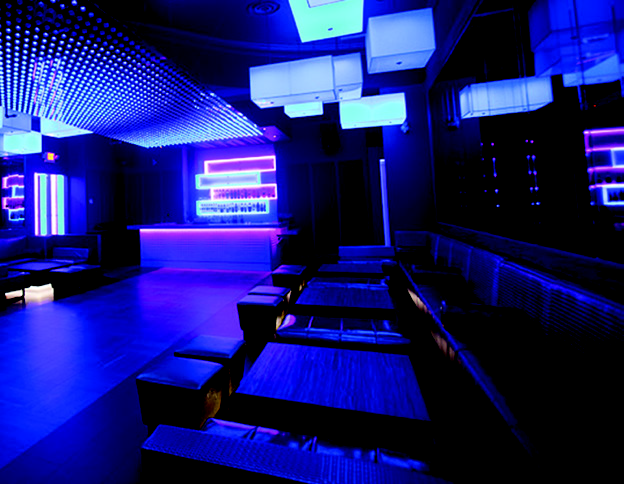 A unique LED panel spans the full length of the ceiling, while adding a clean nightclub sound system. 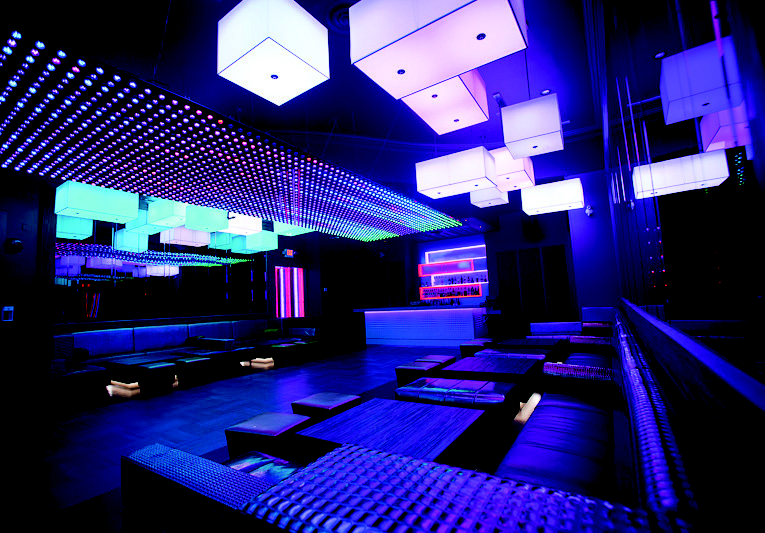 Home to the infamous RE UP Wednesday nights and the busiest little room on the strip every weekend, L.E.D. is going into its second year hot. 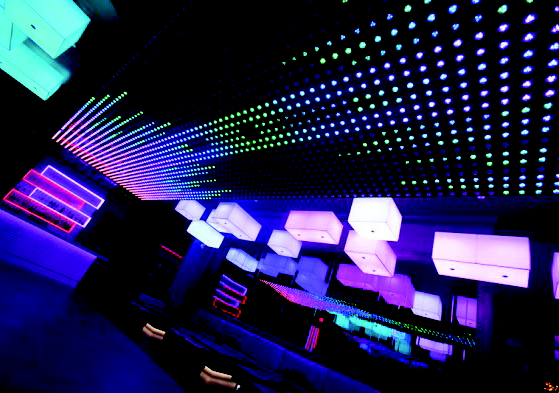 The LED wall at LED bar is a 108 x 26 matrix of 2 inch RGB led nodes controlled by Madrix. 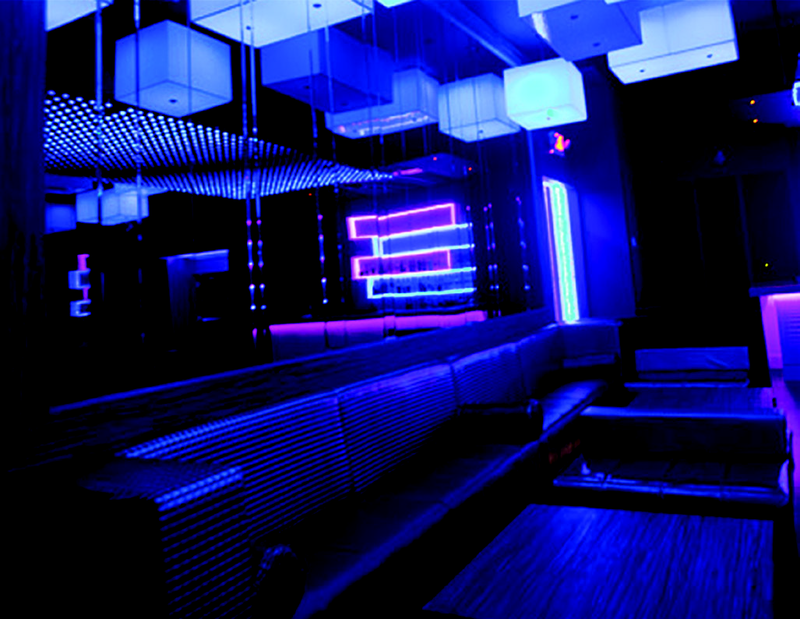 The entire LED display is 10” wide and 40” long, about 7’ of which wraps down behind the DJ. 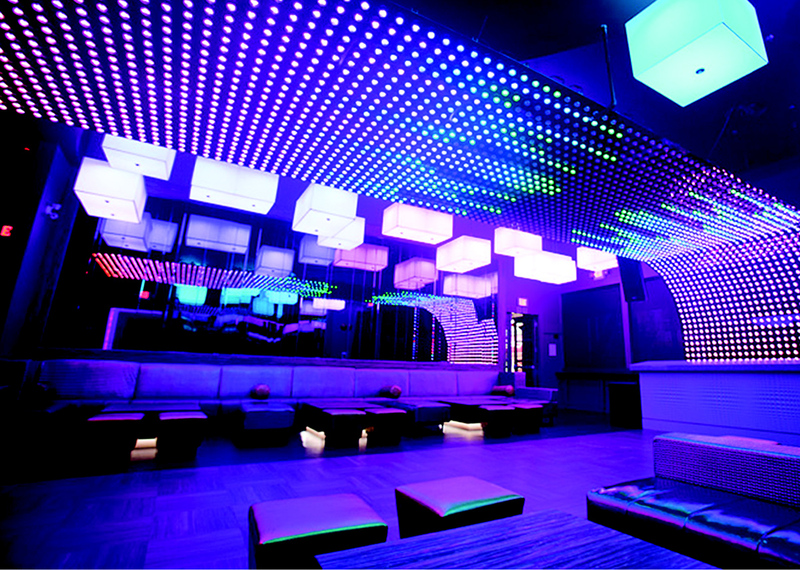 Spacing between each LED node is 4.5” and the entire display can consume up to 2000 watts.